The 2014 Waller Pain results are in.. Following on from the success of last years’ visit to us in Caterham by members of the Jever Round Table in Germany, they’ve (unwisely, perhaps) returned the compliment and asked us back to their patch. 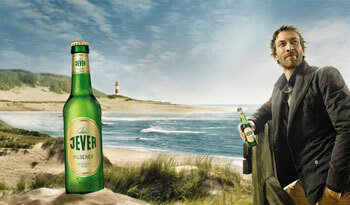 Jever, for anyone who doesn’t know (Ed: & I didn’t), is situated near the coast of northern Germany, approximately 1.5 hours drive north east from the border with the Netherlands. Absolutely fabulous darling…. But who are you? The third Saturday in January once again saw around 250 masked revellers enjoying a fabulous night of glamour, gourmet food, excellent entertainment and dancing through ’til the wee small hours at our Masquerade Ball. This year saw us change venues for the first time in quite a number of years and, to say we were a little concerned that the change may affect the dynamic of what has always been a very successful event, would be an understatement. We needn’t of worried. The Felbridge Hotel proved to be a superb venue with Chef and his brigade serving up one of the best meals we’ve ever had and the front of house team providing service that was second to none. August saw the annual ‘dads and kids’ Round Table camp in Chaldon. Tablers, friends and their children spent up to four days at camp. As well as various games the kids were entertained with archery, an air rifle range and a much needed trip to Tandridge pool! The campfire was kept going for four days, and each evening, after toasting marshmallows, was the scene of the most horrendous campfire singing you have ever heard! We was robbed! But then we would say that… wouldn’t we? 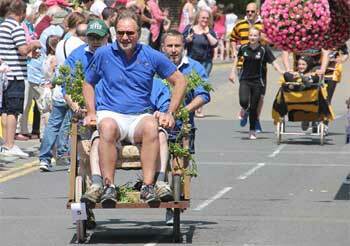 A last minute entry saw four members of Caterham Round Table accepted for this years’ sun-soaked Edenbridge Festival Pram race. Chairman Simon, Haydn, Peter and aging veteran Barry hauled themselves and their borrowed chariot (thanks to Mr Parr) down to Edenbridge on the second May Bank Holiday Monday to pit their efforts against Edenbridge’s finest. 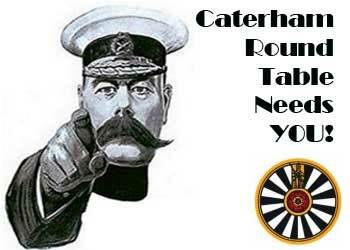 No, it’s not ‘Movember’ come early… Caterham Round Table is looking for new members to join the club. 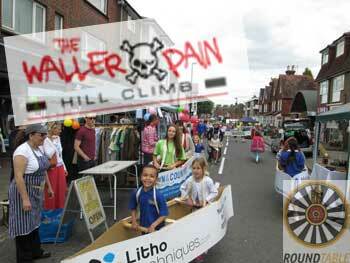 The organisers of a number of noteworthy (some might say, notorious) local events such as the Festival Boat Race, the Dene Field Fireworks and Bonfire display and the Waller Pain Hill Climb, to name but a few, are looking for new members to swell their ranks. Round Table rules dictate that new members will need to be young men aged under 45 (where else would a 40 something called called ‘a young man’, I wonder?). It helps if you’ve got a good sense of humour and are not afraid to muck in and help out at some of the community events we get involved in too. CRT is a really sociable club so meetings often involve a beer or two. We like members to attend as many meetings as possible but, we’re all working men, and realise that these days, work and home lives sometimes get in the way. 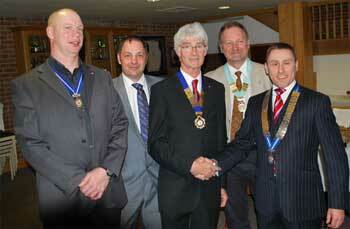 Last Wednesday, Simon Edge (far right) was unanimously elected as the hon. 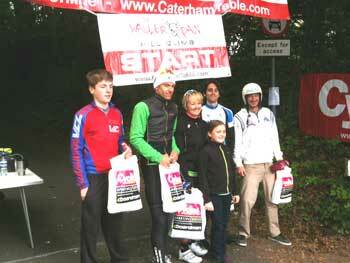 Chairman of Caterham Round Table. Simon, seen here with Vice Chairman Rupert Greatwood, outgoing Chairman Peter Dommett, 41 Club Chairman Trevor Harris and President Barry Louvel, is well known in Caterham for his active involvement in many other organisations such as the BNI group where he is a past Chapter Director, Caterham Scouts and the Caterham Festival committee. Simon, who is of reduced height, has now started on a fitness campaign to improve his 6 pack. He said ‘Being short allows me to look people in the eye when I am standing up.